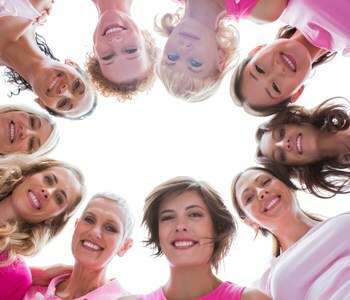 Nearly every woman who receives a breast cancer diagnosis will need to undergo surgery at some point in her treatment. However, nonsurgical treatment both before and after surgery has become extremely important for some types of breast cancer. “In recent years, there have been many exciting new advances in breast cancer treatment,” say Carlos Robles, MD, medical oncologist/hematologist at Saint Francis Medical Center. One type of cancer in particular benefits from nonsurgical treatment before surgery; HER2 (human epidermal growth factor receptor 2)-positive breast cancer. The HER2 gene makes protein receptors that help control how breast cells divide and repair themselves. However, when it does not work correctly, it makes too many copies of itself, causing breast cells to grow out of control. About 25 percent of breast cancers are HER2-positive. In these cases, doctors use chemotherapy and other types of biological agents (antibodies), such as Herceptin and/or Pertuzumab, to block the out-of-control protein receptors so the breast cancer stops growing. Patients who receive this type of treatment still need surgery, either a lumpectomy (removal of just the cancer) or mastectomy (removal of the entire breast). But the additional treatment greatly improves their survival results. For other diseases, such as inflammatory breast cancer, surgery becomes secondary to chemotherapy. With inflammatory breast cancer, cancer cells block lymph vessels in the skin of the breast, causing the breast to become red and swollen. Doctors use chemotherapy to shrink the tumor first, perform the surgery, then proceed with radiation therapy. “We must use many different methods to treat this very aggressive cancer,” says Robles.